It’s that time of year again where all eyes turn to New York City and the Blue and Green DecoTurf® Courts of Flushing Meadows. The US Open main draw action kicks off Monday, August 25th. Along with some minor construction changes you expect the same incredible tennis on most prestigious court surface in the game, DecoTurf®. This year we will see the first results of a 5 year expansion plan that will include a much needed roof for Arthur Ashe Stadium. 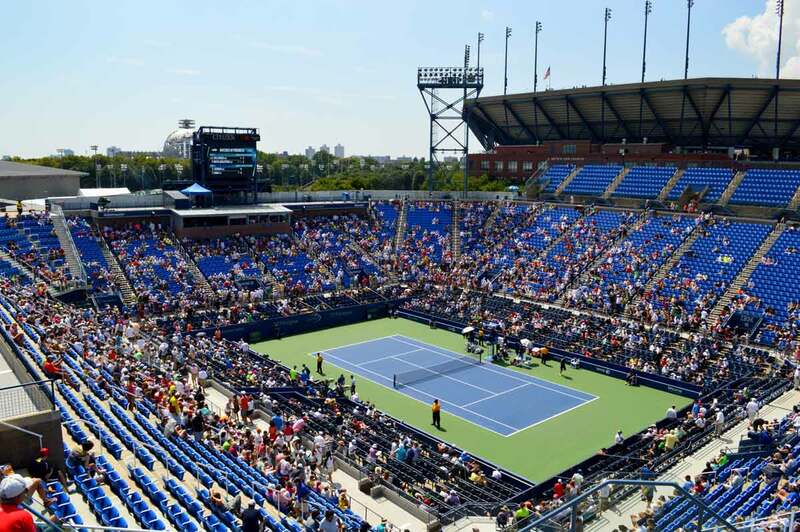 Construction began on the project shortly after the conclusion of last year’s tournament and will include re-positioned practice courts with a better viewing platform from Arthur Ashe for 2014. Plans for the roof construction aim for completion in 2017. The expansion plan should wrap in time for the 2018 US Open. Defending champion and current world number 1, Serena Williams, has yet to make a Quarterfinal round at a Slam this year. 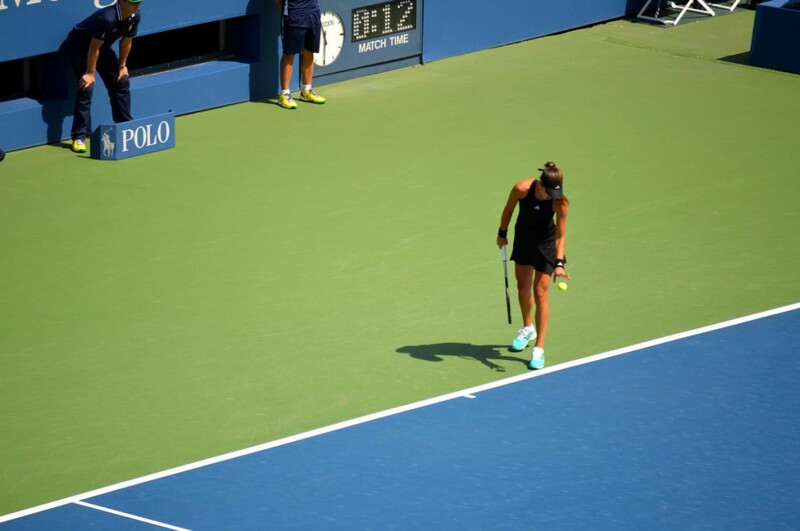 She is however coming off a successful US Open Series outing winning two titles and ultimately the series overall. The winner of the US Open Series has the added incentive to succeed in the slam in the form of $1 million bonus winnings. French Open Champion Maria Sharapova finds herself in the same quarter of most improved and world number 2 Simona Halep. Looks like there may be a Rolland Garros final rematch sooner in the draw than expected. Unfortunately the world will be robbed of Li Na’s post-match humor as the Australian Open Champ is out with injury. Petra Kvitova (3) and Aga Radwanska round out the women’s draw. Rafael Nadal won’t be in a position to defend his title as he withdrew from the Open earlier this week citing wrist injury. His absence will leave the men’s field open for world number 1, Novak Djokavic and newly rejuvenated Roger Federer who will be seeded 2nd. Us Open Series winner and 5th seeded Milos Raonic sits in the second quarter of the draw with 3rd seeded Stan Wawrinka and 10th seeded Kei Nishikori. Without Rafa the title is fair game. 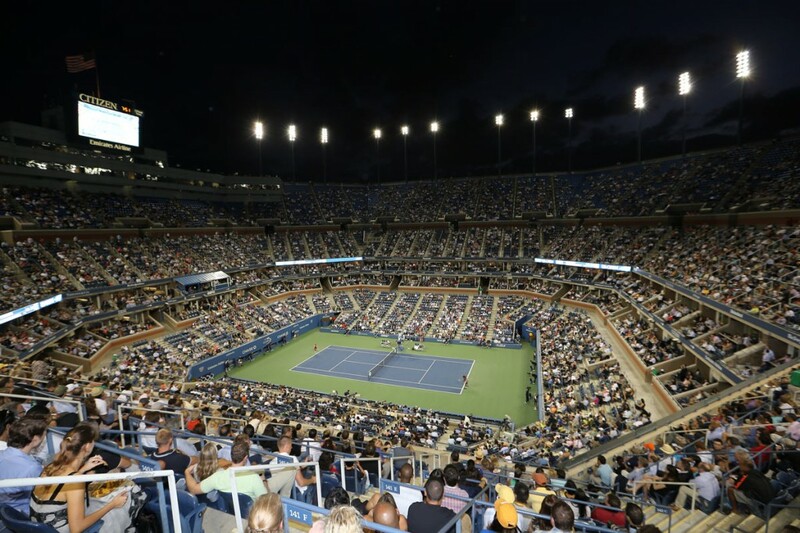 DecoTurf® has been the official surface provider of the US Open since 1978. 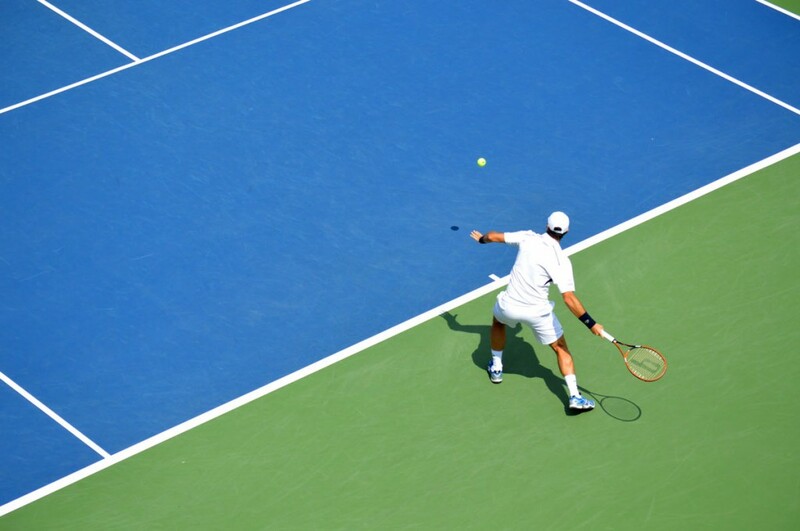 In 2005 DecoTurf® worked closing with the USTA to develop a new blue tennis court color fittingly named US Open Blue. The out of bounds,a slightly darker green, was dubbed US Open Green. The combo has since become one of the most popular in the game for installations ranging from private to colleges to club courts. US Open Blue and US Open Green are trademarks of the USTA. This entry was posted in California Sports Surfaces, DecoTurf® and tagged California Sports Surfaces, DecoTurf, sports surfaces, Tennis Courts, US Open, US Open Series, US Open Tennis, US Open Tennis Court.